Over the last decade, a dramatic decline of the Western Capercaillie population in Slovakia has been recorded. Year after year... This magnificent wood grouse has become extinct in many localities and is now near the point of national extinction. Yet this alarming situation points at another even more serious danger – the danger of the destruction of mountain ecosystems. The Western Capercaillie is just one of many species which cannot survive in a landscape dramatically changed by humans. Its home was almost endless for millennia, but now mountain primeval forests are shrinking every single day. In the Low Tatra mountains (Slovakia) alone, more than 7 000 hectares of old-growth forests have disappeared over the last 10 years. The number of the Western Capercaillie has declined about 40% during this period in Slovakia. From a population of thousands recorded in the 1970s, just the last few hundreds of them now survive. Because of greater conservation efforts, the Western Capercaillie is classified as an endangered species, as listed in the Red List of Bird Species in Slovakia. In spite of that, this iconic symbol of the ancient forests is still disappearing. The main reason is the overly-intensive and expansive logging in natural mountain forests, creating large-scale forest clearings as a result of logging, and their unnatural transformation into commercial and artificial forests linked to a poor biodiversity. A disastrous impact to the whole forest ecosystem, including the Western Capercaillie population, causes “a fight against the bark beetle” as well. Chemical toxins within the “regulation programme” are used, and all trees are eliminated from the forest. The result of that is the creation of large logged areas which harm not just biodiversity, but also the very important anti-erosive and an irrecoverable forest function to retain water. This is occurring almost everywhere, including protected areas. Unfortunately, it just proves the fact that a system of nature protection is absolutely dysfunctional in Slovakia. The damage is huge, the situation is really critical, and the destruction is unfortunately continuing to happen. Many experts and non-governmental organizations have been warning about this serious problem for years. A number of negotiations with a current Minister of the Environment as well as a previous Minister have taken place, various criminal records were given to District Offices of the Environment, and the Programme on how to save the Western Capercaillie was prepared. 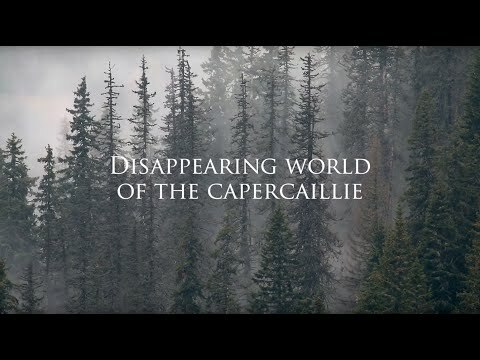 Then, a set of scientific articles followed, as well as reports in media, and the video “A disappearing world of the Western Capercaillie” was released. However, the Department of the Environment has not made any essential changes in this case yet and has not ratified the Programme on how to save the Western Capercaillie either. Therefore, our efforts are being stepped up. Far more than just the survival of the Western Capercaillie is at stake here, but also the survival of countless numbers of other animal and plant species which are existentially dependent upon mountain forests kept in a condition which is good enough for these species to thrive. That is the reason why we must stop their destruction as soon as possible. We have to compel the Department of the Environment in Slovakia, which has the power to take care of it, to finally stop ignoring these serious problems and expert research findings...to stop the destruction of natural mountain forests and to truly protect them. 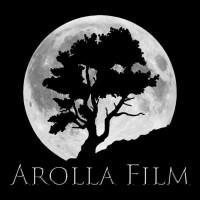 Find more informations directly on Arolla Film. Author of the article: Arolla Film Slovak company Arolla Film was founded in 2009 with the aim of contributing the protection of the valleys Ticha and Koprova in the Tatra Mountains via the film The Keeper of wilderness. Encouraged by the success of the first project, members of company have decided to go on.